Join ROCKTROTTERS on an adventure of a lifetime! 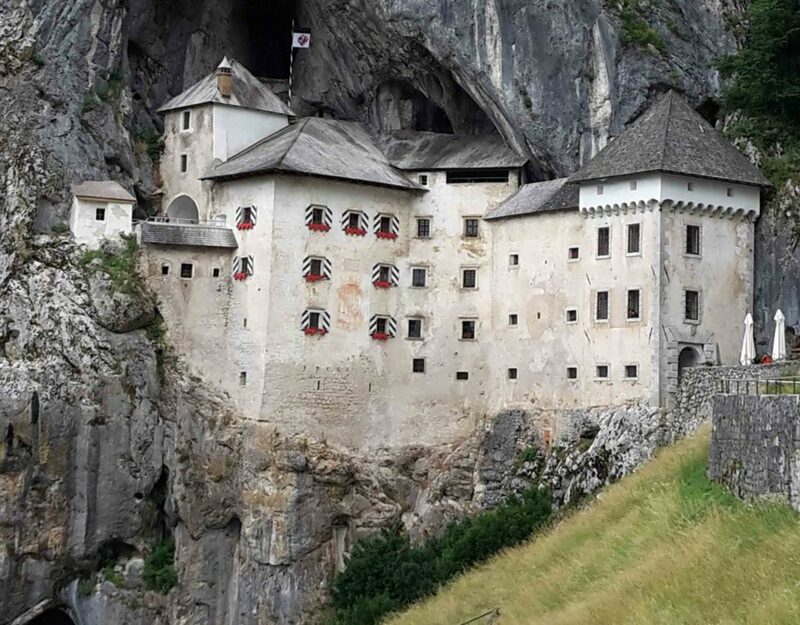 With our base at the world-famous limestone heaven of Osp and Mišja peč we are going to explore the whole region of the Karst edge, which spans from Italy to Slovenia and Croatia. 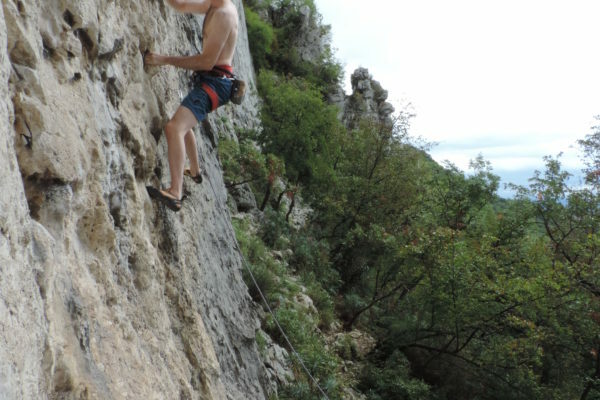 It offers over 40 perfect crags for all levels of climbing, each a unique experience with unforgettable vistas. We know every piece of rock and all the back roads, quaint little wine cellars, hidden local restaurants and jaw dropping walks in amazing natural environment. 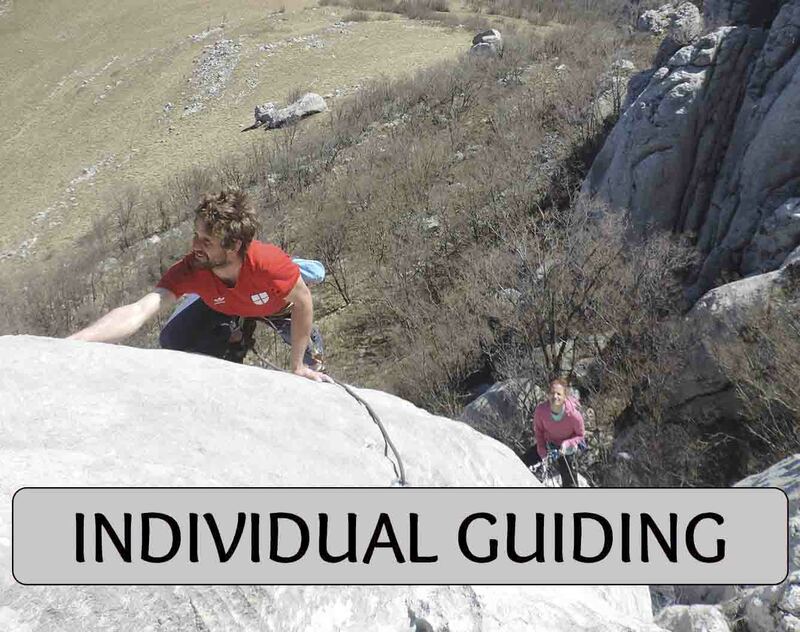 Our experienced instructors will make sure your climbing time will be fun, safe and informative. 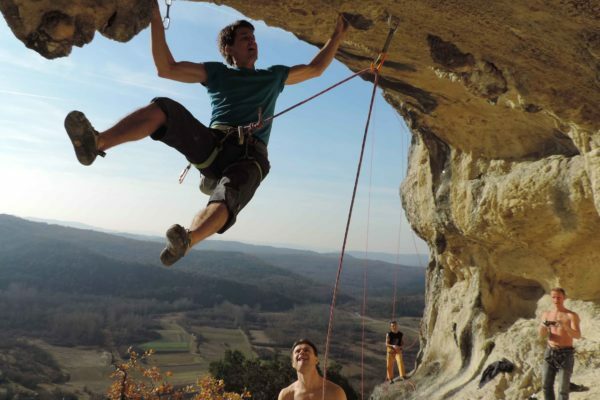 They will coach you towards being much better rock climber than ever and pick the best routes for your level and style of climbing. But you didn't fly across the Europe just to train & climb! While you're here you might as well get a taste of the Northern Adriatic, often dubbed "the new Tuscany". We designed the rest days to give you unforgettable memories filled with natural monuments, UNESCO heritage and cultural remains from Rome to Middle Ages. Add a drop of olive oil, some wine, a pinch of truffles, lots of sun and a bag of chalk and you'll get the original Rocktrotters mixture. All that's missing is you! Contact us for special offers and weekend options! Check out the special Klemen Becan training camps in February/March here! 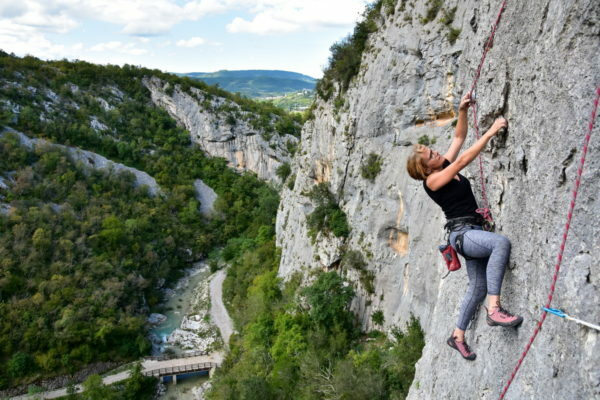 The perfect mix of world class routes, your climbing development, visits to the best sights in the region, immersing your senses in the local cuisine and other fun experiences you'll remember forever! There's a whole range of other options we can arrange for you. 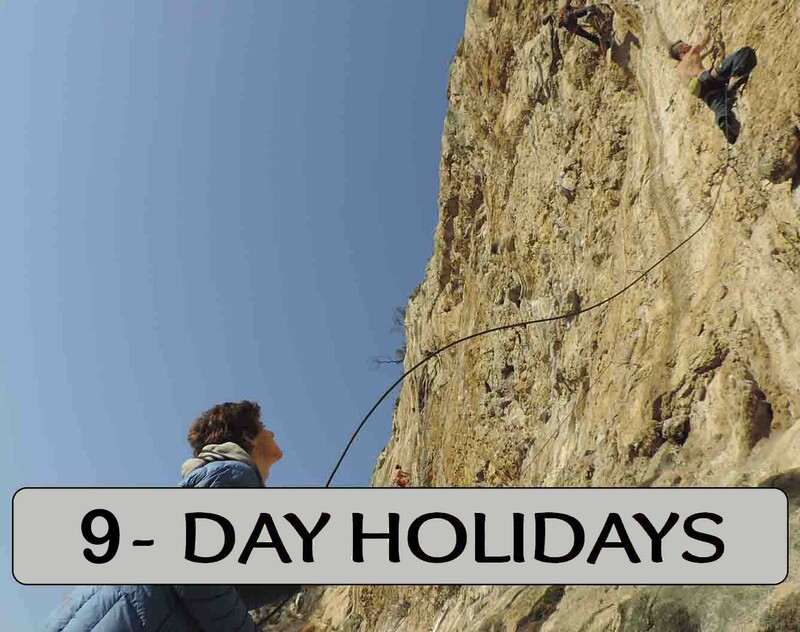 From more personalized tours for specific groups to one-day guiding or coaching, big wall climbing or performance coaching camps. For those short on time, but still longing for the smell of sea and warm, tufa-riddled limestone, there's the weekend option. We'll make sure you experience and learn more than you can possibly imagine. Check out what you're missing! Click the button to see a small collection of clips from the crags and places. "We can honestly say that we really improved our climbing and had a lot of fun in the process too." "The landscape, culture and people are all amazing and for now it is still relatively unknown for ‘normal’ tourists. What more do you want?" 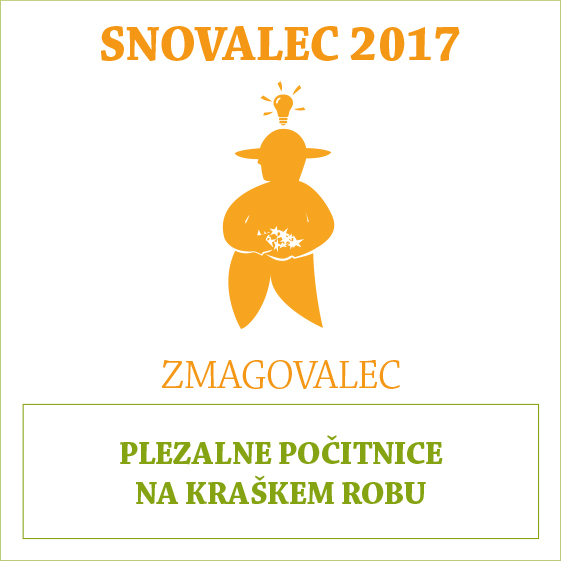 Project is partly financed with "Snovalec" funds from the Slovenian tourist organization.